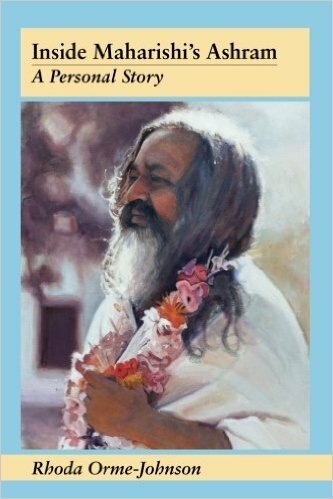 Home - David W. Orme-Johnson, Ph.D.
My wife Rhoda's just published her memoirs on our time with Maharishi, 530 pages, 48 photos and art work. The painting of Maharishi on the cover is by me. "Written with compelling language and a warm, honest personal voice, each chapter is touching and filled with knowledge. It's a riveting read." --Linda Egenes, co-author of The Ramayana: A New Retelling of Valmiki's Ancient Epic--Complete and Comprehensive. You can buy the book in three different ways: 1) order directly from me if you live in the US. I will send it to you by mail in a padded envelope. $24.95 plus $2.00 S&H; Click here to email Rhoda. Or if the link doesn't work, email me at rhodaoj at earthlink.net. 3) order in the usual way from your Amazon. Click here to go directly to my book on the AmazonUS site. If you buy from Amazon, you can write a review. You can also save shipping costs if you belong to Amazon Prime. The Amazon site allows you to look into the book, see the table of contents, read some of it, see some of the pictures, etc. Amazon.uk or fr or whatever you have is now available. This is your best bet if you don't live in the U.S.. Just go to your usual Amazon. Problems? Contact me. The book will soon be available on Kindle (working on that now) and later on Audible. I want to narrate it myself and that will take some organizing. If you don't have access to Amazon and my book, email me and I will explore options to mail it directly to you. Over the 50 years since Maharishi Mahesh Yogi introduced the Transcendental Meditation program to the West, it has spread to over 150 countries worldwide and is practiced by millions of people. In the modern world of the Internet, every organization will attract some criticism, and it's hard for the reader to sort out what is fact or fiction. I will be addressing the few inevitable criticisms from my scientific perspective (see About David Orme-Johnson ). These issues include challenges to the research, questions about whether TM is a religion or cult, whether it has harmful effects, and about court cases, and on the Maharishi Effect and TM's possible influence on society. We live in an era in which science is evolving from a materialist worldview to integrate into its theoretical structure the last great frontier of science, consciousness. It is natural during this phase transition for those steeped in a mechanistic paradigm to be critical of the emerging scientific understanding that consciousness plays a fundamental role in natural law. The scientific investigation of consciousness is critical to our understanding of the natural world and for solving the recalcitrant problems of humankind, which are all ultimately problems of mind. I intend this site to be a resource for those interested in pursuing issues and concerns about meditation effects and research, including the latest scientific research on higher states of consciousness and enlightenment. In most cases each relevant Issue is followed by The Evidence, which includes factual information (scientific research, documented facts, and events that I have personally witnessed), and A Personal View, which contains my own interpretations and opinions. There are also links to primary documents, including PDFs of the full text of original research papers, which the reader can download, as well as links to other web sites for more expanded information. 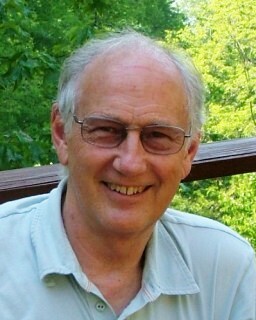 If you are interested in lists of research on the Transcendental Meditation technique, in studies comparing different meditation and relaxation techniques, or in questions such as whether the research is valid, whether the effects are due to self-selection or placebo, or are otherwise inconclusive, or whether the researchers on Transcendental Meditation are objective and committed to the scientific method, or whether outside reviews have discredited the research, go to RESEARCH. If you are interested in the effects of the Transcendental Meditation technique on health, education, or mental health, or in such issues as whether the TM technique has harmful effects or is a cult or religion, or whether enlightenment is just a metaphysical concept, go to INDIVIDUAL EFFECTS. If you are interested in an overview of the 51 studies showing that group practice of the Transcendental Meditation and TM-Sidhi programs can reduce war, terrorism, and improve the quality of life in society, or in challenges to this claim, go to SOCIETAL EFFECTS.